Take a look at our awards! Talk to your local air conditioning experts today and we will be more than happy to help! H&H Air Conditioning Brisbane is a leading air conditioning specialist servicing our Brisbane and Sunshine Coast air conditioning customers from our two offices in Brisbane and the Sunshine Coast. As Brisbane air conditioning specialists, we understand the limitations and requirements in both commercial and residential environment. 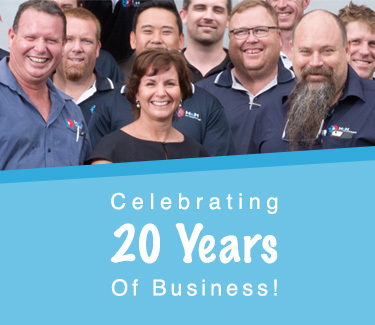 Whether we design an air conditioning Brisbane solution for your existing home, renovation plans, new build or commercial premises; we are confident we can bring our experience and expertise to the table to reduce the impact on your workplace or lifestyle. Our goal is to have the job done within your time and budget constraints. Whether it’s a ducted air conditioning installation or a simple split system air conditioner our team of trusted and qualified technicians as well as our support staff are here to assist. If you've been searching online for 'Air Conditioning Brisbane', 'Brisbane Air Conditioning' or 'Air Con Brisbane', look no further, as the incredible team at H&H Air Conditioning Brisbane is ready to help. Call us today on (07) 3276 1800, so we can provide you with the right advice, the best brands and lifelong service and care. It’s a serious investment, air conditioning. Brisbane’s temperatures mean it’s almost a necessity to have air conditioning in your home, but not just any type of air conditioning. The right air conditioning and correct installation makes a huge difference, not only to your comfort levels and ability to get through the heat of the summer but to your hip pocket, too. This is why it’s important to find the RIGHT Brisbane air conditioning company. You need one that has quality systems on offer and provides professional installation and servicing to avoid problems such as energy inefficiency, high electricity bills, temperature control issues and frequent mechanical problems. 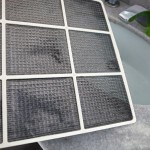 So how do you find an air conditioning Brisbane company that can help you avoid all of these problems? We’ve put together some questions to ask and information to consider when doing your research which will make your search easier and help you find a professional to suit your needs. #1 What Brands & System Ratings Do You Offer? #1 What Brisbane Air Conditioning Brands & System Ratings Do You Offer? 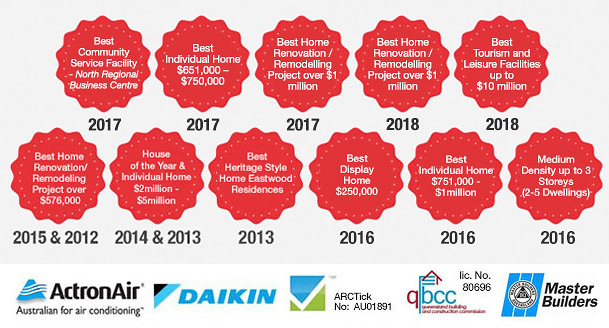 Brands on offer and their star ratings can often be a ‘make or break’ in selecting the best air conditioning Brisbane company for you. Lesser known brands may be cheaper units to purchase initially but will not necessarily last the test of time or be as energy efficient. Their warranty periods may also be much shorter. Better known brands, although a fraction more expensive, can make the difference money wise in efficiency and lifespan. 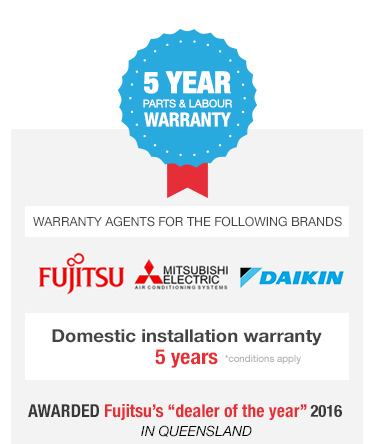 H&H Air Conditioning Brisbane stock a full range of brands, although we recommend Fujitsu Air Conditioners, Mitsubishi Electric Air Conditioners, Polyaire and Daikin as our preferred partner brands. The energy star rating, regulated by the government, is an easy way for you to compare the power consumption of different brands of air conditioning systems. The energy labels on the air conditioning systems show star ratings that can range from a minimum of one star to a maximum of six stars. Air conditioners with remarkable energy efficiency can have up to 10 stars. Remember, when looking for the best air conditioning company, those that sell cheaper units with a low star rating may cost less initially, but will end up costing you more to run in the long term. Star ratings should be a major part of your decision. It’s recommended that you carry out your own research on preferred brands of air conditioning before seeking an air conditioning Brisbane company and then consider companies that supply and work with these models. A good place to research the best units is at Choice. #2 Do You Have Air Conditioning Systems Suitable for Asthmatics & Hay Fever Sufferers? #2 Do You Have Air Conditioning Brisbane Systems Suitable for Asthmatics & Hay Fever Sufferers? Most air conditioning Brisbane systems are suitable for asthmatics and people with hay fever in that they work well to maintain a stable indoor environment, keeping pollens, moulds, dust and pollutions outside the house via the filter. However, some systems come with higher quality filters than others; that is, ones that filter out smaller particles. Filters on some systems are also much easier to clean than others. This is somewhat of a necessity when regular cleaning is required due to asthma and hay fever. Ask the air conditioning company if they stock systems that are preferred for asthma and hay fever sufferers, and if they offer filters on ducted air conditioning too. #3 Are Your Technicians Qualified & Experienced? #3 Are Your Brisbane Air Conditioning Technicians Qualified & Experienced? The last thing you want when having air conditioning installed is an unqualified and inexperienced Brisbane air conditioning technician doing the work. Not only can this lead to poor energy efficiency and ineffective heating and cooling due to incorrect installation, but it can also be a risk to your safety. Don’t be caught out by companies that use electricians to do their air conditioning installation work. Not all electricians are properly licensed or experienced for working on air conditioning. When seeking a reputable air con Brisbane company, don’t be afraid to ask if the technicians have a refrigeration license issued by the Australian Insulation Council and if you can view their qualifications. #4 Do You Offer Regular Servicing & Breakdown Repairs? #4 Do You Offer Regular Air Conditioning Servicing & Breakdown Repairs? Just as cars need regular servicing and maintenance to keep them running efficiently and the occasional breakdown service, so do air conditioning systems. Before you sign the dotted line and buy your air conditioning system, ask if they offer scheduled and break-down maintenance air conditioning service Brisbane wide. Air conditioning companies that sell and service their air conditioning units are likely to have more knowledge on the specific brand and model of the unit and can, therefore, give a better quality service and address brand specific issues. #5 What Size Air Conditioning Unit Do You Recommend For My Home/Office? #5 What Size Air Conditioning Unit Do You Recommend For My Brisbane Home/Office? Don’t be fooled by someone selling you the largest air conditioning unit out there is if it’s not suitable for your space. On the other hand, beware of someone selling you a unit that is much too small for the space to be cooled and/or heated. The wrong size system can lead to lost money in the long run due to high electricity bills, inefficient energy usage and the inability to cool or heat your home or office properly. When searching for the right professional, ask them if they offer the service of coming out to your home or office to determine the cooling capacity of your home. During this visit, they should consider various factors such as layout, size, other load-generating appliances as well as the presence of insulation. #6 Heating Or Cooling From your Brisbane Air Conditioning Unit? If a Brisbane air conditioning company is all about helping to make you as comfortable as possible AND to save you money, make sure they suggest a system that heats and cools. Opting for a system that does both is killing two birds with one stone. Yes, you can buy an air conditioning system with the sole function of cooling but that means when winter comes, you need to purchase a separate heater and will likely see higher energy bills. Why not have a reverse-cycle system that does both? #7 Will You Help Me Determine The Best Placement Of The Unit? #7 Will You Help Me Determine The Best Placement Of My Brisbane Air Conditioning Unit? In addition to attending your home or office to determine the cooling capacity, a professional Brisbane air conditioning company should also offer consultation on the correct placement of the system. Sunlight has a huge effect on your air con; Brisbane homeowners can often find it challenging to find a suitable location where direct sunlight doesn’t force the machine to work harder and, therefore, consume more power. A good Brisbane air conditioning company should be able to assist with planning this important aspect of your air conditioning unit installation. #8 Does Your Team Use The Right Quality Of Ducting? #8 Does Your Brisbane Air Conditioning Team Use The Right Quality Of Ducting? Ductwork can easily get forgotten because it’s hidden away in the ceiling. It is, however, one of the most important aspects of a ducted air conditioning Brisbane system because it is the ductwork that delivers the wonderfully cool air to rooms throughout the home or office. When ducts are the wrong size, when they’re made using cheap materials or the assembler does not put them together correctly, this can significantly impede the efficiency of the air con. Brisbane homeowners with faulty ductwork experience higher energy bills because leaky ducts waste cooled air in rooms that aren’t occupied. If you’re opting for Brisbane ducted air conditioning, ask the air conditioning company if their ducting meets the Australian standard for ductwork, AS 4254. If possible, check the labels on the ducts or ask for a written compliance statement. It’s also smart to ask about the company’s experience and qualifications in installing ductwork. #9 What Does Your Installation Fee Cover? #9 What Does Your Brisbane Air Conditioning Installation Fee Cover? Avoid surprise when installing your Brisbane air con system. Brisbane air conditioning installation prices can vary and you get what you pay for. Try getting various installation quotes so you can compare and ensure you’re getting the best and fairest price. The complexity of the installation will also determine the installation cost; a cheaper quote likely meaning it’s for a basic installation and there is no hard-wiring involved. You may even have to supply your own materials. If the installation is for ducted air conditioning, it’s likely you’ll have to pay a higher fee. Be sure to confirm this with your Brisbane air conditioning company. This is one aspect that will help determine which air conditioning company is best suited to you. #10 How Long Have You Been Selling Air Conditioning In Brisbane? It may seem like a bit of a strange question, but there is a huge factor that comes into play when it comes to air conditioning in Brisbane – the weather. Brisbane is typically tropical and humid and these conditions affect the type of air conditioning system you will need. An air conditioning Brisbane company experienced with the local climate will have a very good idea of the system required and will also stock systems capable of dealing with extreme heat. If someone tries to sell you an evaporative cooler in Brisbane, you may want to walk the other way because these types of systems are not overly effective in humid weather. Contact H&H Air Conditioning Brisbane today. We are the leading Brisbane air conditioning specialists and we're here to answer all your air conditioning questions and help you save money.